Finished this piece this morning on the ride to work. It’s amazing what you can do with Procreate and an ipad pro + pencil. 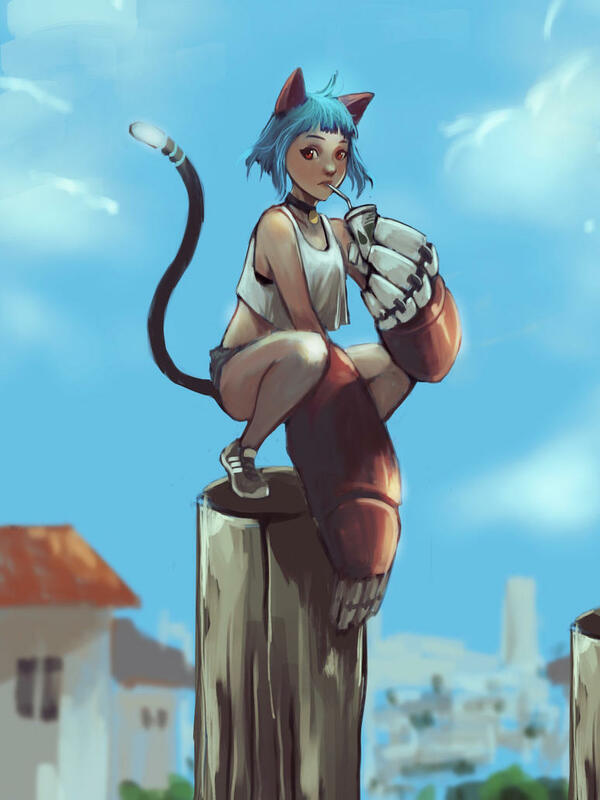 While posting this, I kept thinking – if only humanity could put behind the hatred for each other and focus on technological development, we could have had cute kitty robot girls by now. Timelapse for this painting is posted after the image.